Samplism features a breakthrough technology that automatically categorizes audio samples into tags. 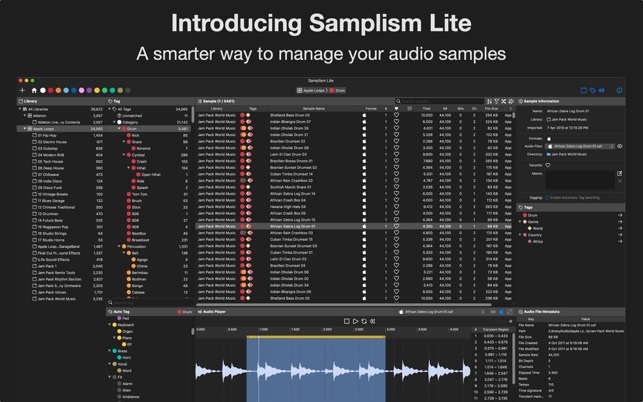 With Samplism, you don't need to waste your time anymore on manually categorizing your audio files. 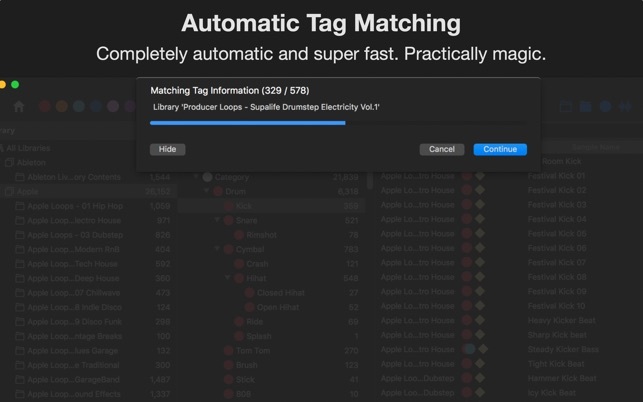 Just drag and drop directories on your Mac into Samplism. 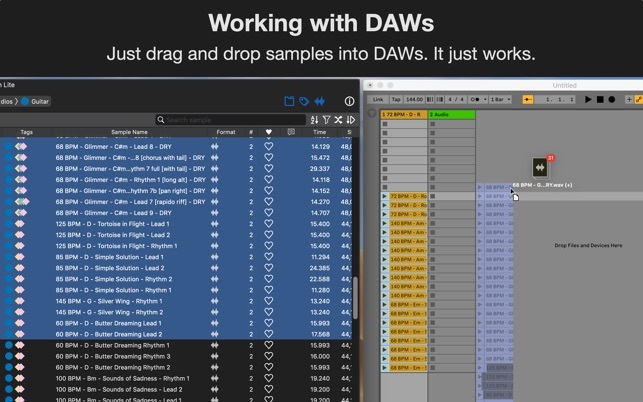 All audio samples are automatically categorized into tags. It's practically a magic. 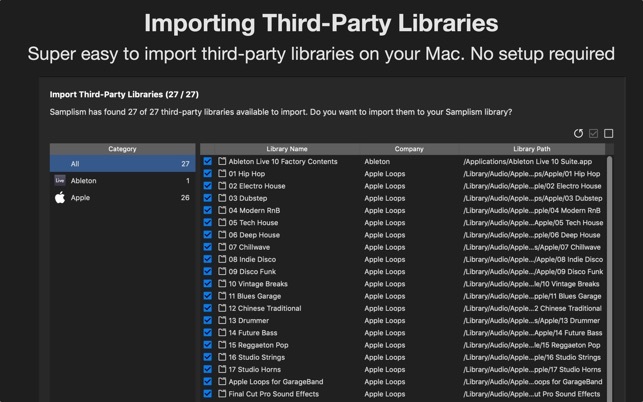 Samplism provides a super easy way to import well-known third-party libraries installed on your Mac. 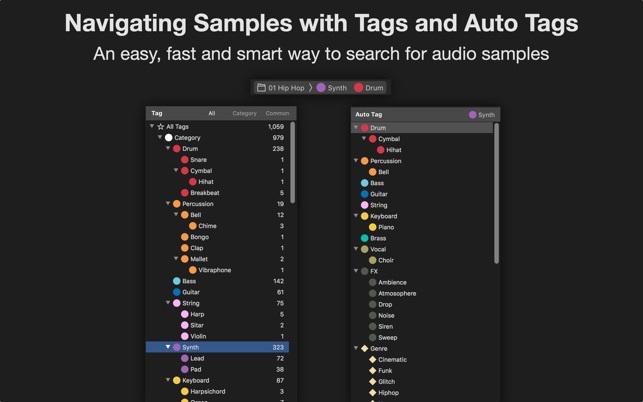 Samplism automatically detects well-known third-party libraries, so you don't need to worry about finding the directory location of third-party libraries. No setup is required. All you have to do is to simply import them with just one-click. 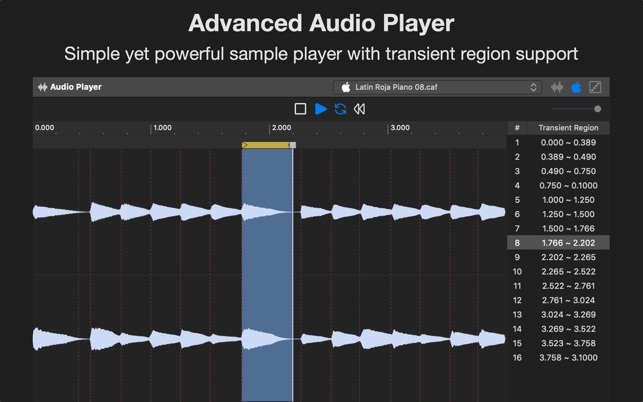 Samplism takes full advantage of the latest macOS technologies including Core Audio, Core Animation and Grand Central Dispatch, and is fully optimized for 64-bit and multicore processors. 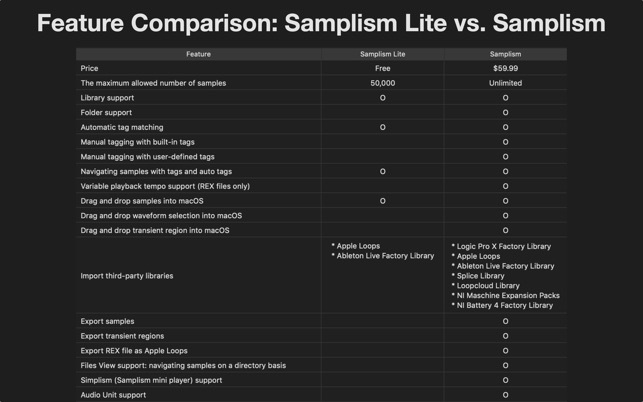 - In Samplism Lite, you can add 50000 samples at maximum. - macOS 10.11, or later. 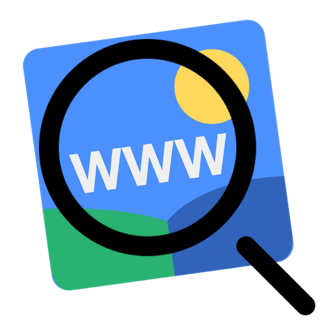 - Screen resolution of 1440 x 900 pixels or higher.